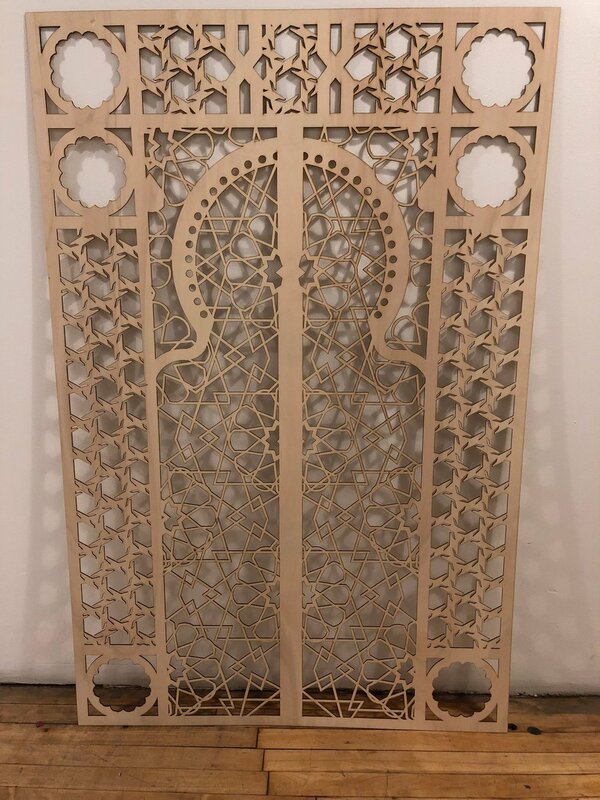 We offer full-service laser cutting to help you create your designs. If you have prepared files you would like to submit for quote, you can upload them for us to take a look at and give you feedback. Laser cutting requires a drawing (vector file) for processing through the machine. If you're unable to provide a vector file for cutting, we can likely assist you for an additional fee. We've put together a simple template that you can download to help you setup your file by organizing the cuts and work within the maximum sheet size. You can also bring in your files and discuss your project in person. Please contact us to set up an appointment. We are able to provide and source materials as necessary for most projects, however projects requiring special materials may require you to source and provide the material yourself. Please see our materials page for a sample list of materials the laser can cut and etch.